I'm sure many of you have taken a look at the beautiful Rambler in the Grizzly Peak Airfield next to Humphrey's. 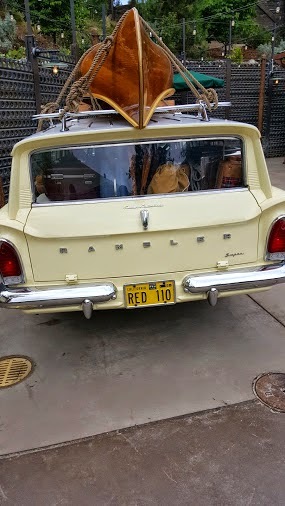 But how many of you are aware of the Rambler's ties into Disney history? 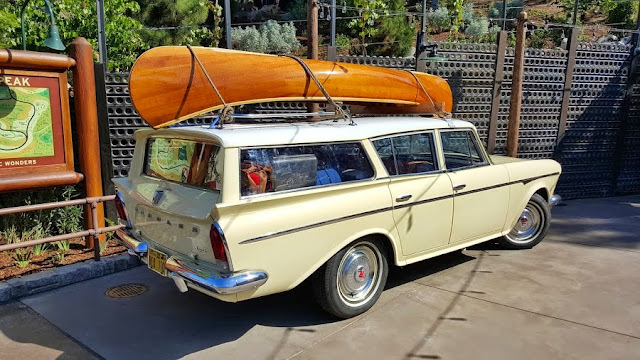 Before we get into the Disney ties, let's take a look around the Rambler! You can see that this vehicle is packed for an adventure! It perfectly fits the time period and reminds a lot of us of those great family vacations! 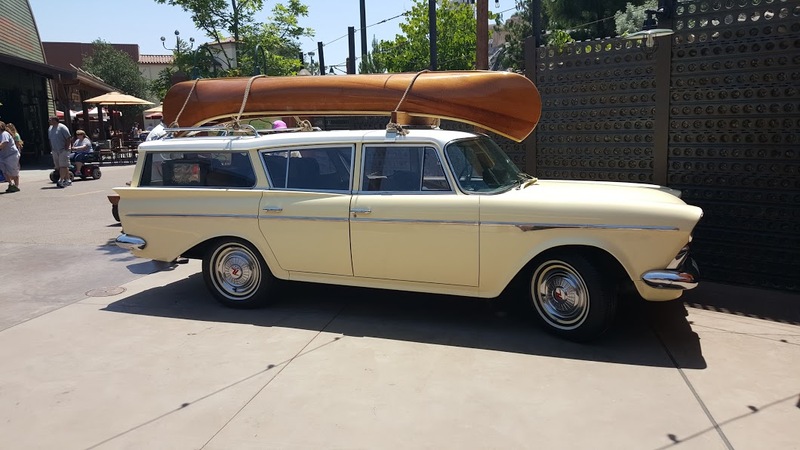 Now the Rambler is recognized as one of the first successful modern American compact car manufactured by American Motors Corporation (AMC). AMC was one of the first sponsors for Walt Disney's television series. AMC was also the sponsor of Circarama in Tomorrowland in Disneyland. Disney also created several commercials for AMC featuring some of their most beloved characters! Watch the video above! Hope you enjoyed this look at one of the hidden details of the Grizzly Peak Airfield in Disney California Adventure!